There is a wonderful array of different foliage types and colours to choose from when it comes to indoor plants. 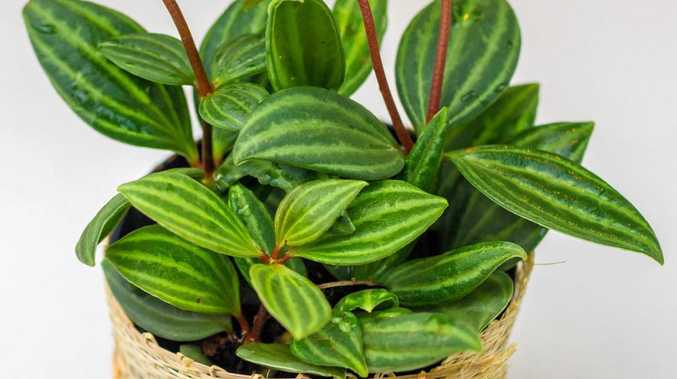 If you're after an indoor plant with fascinating leaf patterns, then look out for a watermelon peperomia (peperomia argyreia). It's easy to see why they're given their name, as their fleshy leaves look delightfully like watermelon skin. Choose a well-drained pot and use good-quality potting mix. Keep the potting mix slightly moist. Don't allow the potting mix to become waterlogged. Feed plants from spring to autumn with liquid plant food.